Tateonna Thompson, Ebony Easter and Eleanor Humphrey star as the Dreamettes in Dreamgirls. Inspired by the early careers of various Motown girl groups, Henry Krieger and Tom Eyen's Dreamgirls has become one of the most beloved musicals of the modern era. 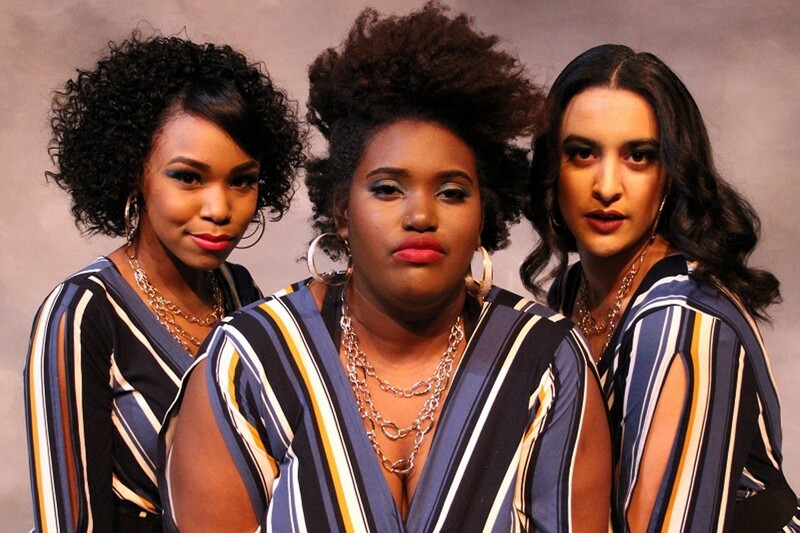 In it the Dreamettes, a young trio of singers from Chicago, attempts to jump-start their musical career by winning Amateur Night at the famous Apollo Theater in New York. Instead Effie, Deena and Lorrel find a manager in Curtis, who dreams of guiding a black group into the pop realm, where millions of dollars can be made with the right song, look and sound. As the Dreamettes work their way closer to stardom, they encounter jealousy, creative differences, love and betrayal. Stray Dog Theatre presents the sound sensation Dreamgirls at 8 p.m. Thursday through Saturday (April 4 to 20) at the Tower Grove Abbey (2336 Tennessee Avenue; www.straydogtheatre.org). There are two additional shows at 2 p.m. Sunday, April 14, and at 8 p.m. Wednesday, April 17. Tickets are $25 to $30.